Here is the next part of Promoting Bands for you! As always, when you want to be featured in Promoting Bands: don’t hesistate to send us an email or message on Facebook or Twitter. 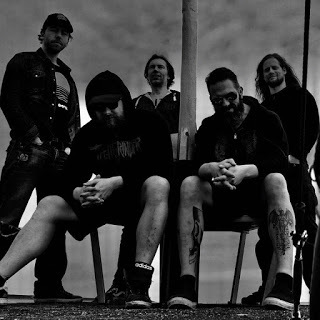 Ecocide, the Dutch oldschool death metal band, is back! Formed in 2012, they released an demo and one full-length, until they decided to split up in 2015. In January this year, they already announced their return and now they have released a new single. 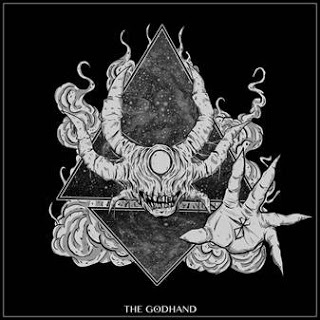 It’s called The Godhand and you can listen to it below. Nice job, guys! Final Cut comes from Switzerland and they call the style they’re playing violent blues thrash. Violent blues thrash, you probably wonder what that means. I understand and when you’ve watched their video for Generation Y below, especially after 1:49, you probably understand what they mean with violent blues thrash. I can tell you, that term fits perfect and they play it very nicely! Second Dutch band for now is Offerblok with their psychedelic post metal. After releasing an EP in 2014 and an full-length in 2015, they have now, since April 21, 2017, released their second album called A Sun Deceased. Be sure to check this band and their new album out, you can listen to A Sun Deceased below. Coming from Slovakia, Anthology’s musical style is symphonic metal. After Exitus (2011) and The Prophecy (2014) they released their third full-length, called Angel’s Revenge, in 2016. In my opinion, Raylyn (vocals), Majo, Miro (both guitars), Peter (drums) and Martin (keyboards) did a great job on Angel’s Revenge. Recently they made a video of a song from Angel’s Revenge, called Last Weep, watch it below and be amazed! Not long ago, at the end of March, I already mentioned Vuur in Part 6 of Promoting Bands. For those who don’t remember, it’s the new band of Anneke van Giersbergen, in which she let us see her metal-side again. At that moment there wasn’t any official music ready, but that’s different now. They just released their first single, called Days Go By – London, and I am already looking forward to hearing more of Vuur, nice job! 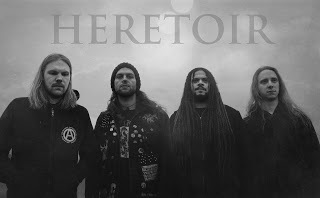 Coming from Germany, Heretoir combines black metal with shoegaze. It’s heavy, emotional, melancholic and atmospheric all combined. On their latest full-length The Circle (listen below), released in March this year, you can already hear that they know how to play this kind of music, and know how to get the perfect feeling in the music. I was curious how they would bring this live, so on May 20th I went to their show, when they were in Merleyn, Nijmegen together with Ghost Bath. They played their show very nicely and the ambiance was really intense, only thing to complain was their set being a bit short, but that probably wasn’t their decision. Last year, the debut album of Trees Of Eternity, Hour Of The Nightingale, was released. Tragically, soon after the record was released, their vocalist Aleah Liane Starbridge passed away. 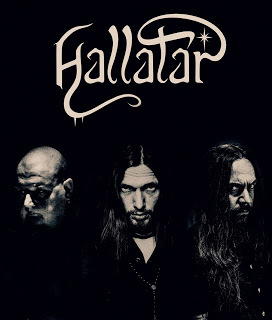 Now, in a new band called Hallatar, her partner Juha Raivio (who also plays guitar in Trees Of Eternity and Swallow The Sun), Tomi Joutsen (vocalist of Amorphis) and Gas Lipstick (former drummer of HIM), they honour Aleah. While you have to wait to hear their debut album until October 13th, they recently made an video to their first available track, called Mirrors, watch it below! 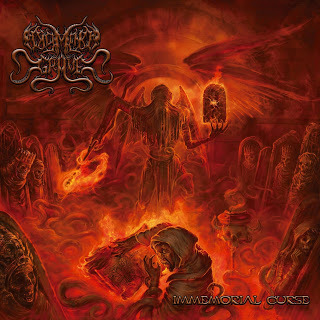 Dig Me No Grave hails from Russia and in June they will release their latest effort, called Immemorial Curse. Now these death metallers already released a track of Immemorial Curse, titled Monument To Violence, which you can hear below. Be prepared to be blown away! 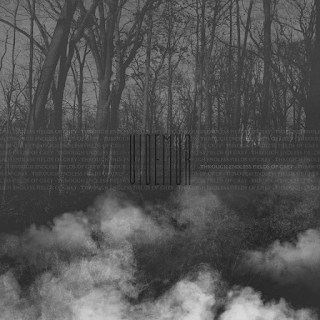 Videmur are two men playing atmospheric black metal. This year they will release their new album called Through Endless Fields Of Grey. Here you can already listen to their second released single of Through Endless Fields Of Grey, called Frost, hope you like it as much as I do! A while ago, I already mentioned these metallers from Portugal in Part 2 of Promoting Bands. At that moment their latest release was Reborn, and I was immediately blown away by that great album. Now, they have another album released, it’s called Flesh Upon The Feelings. Below you can check out their video, coming from Flesh Upon The Feelings, the track is called Trapped Mind. Nice!